To be completely transparent, I have never made a New Year’s Resolution before. I’ve thought about it, sure, but I think the voice in my head was always counting me out before the year even began. Early in 2015, I discovered Lisamarie over at Paper & Glam and I have come to really appreciate how she lives her life both seasonally and always completely rooted in the Lord. 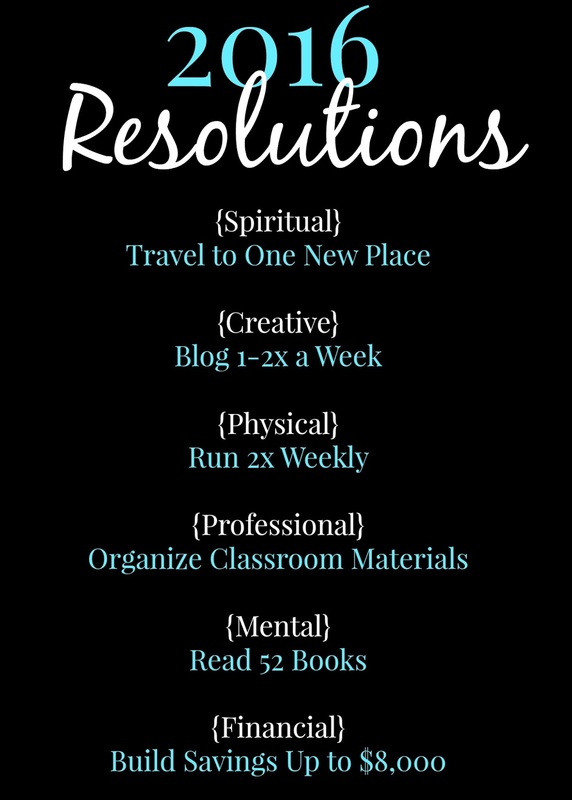 Lisamarie approaches her resolutions in a holistic manner and I thought I would try it for myself this year. The six areas that I chose to focus on are Spiritual, Creative, Physical, Creative, Professional, and Financial. I made this graphic in PicMonkey and printed it as a 5×7 image to place in my two planners (Erin Condren and Happy Planners), as well as my 2016 Project Life album. I absolutely love the Project Life system, and I plan on diving more into that this year as well. Blog posts are sure to come! What are your 2016 resolutions? Share them in the comments below!